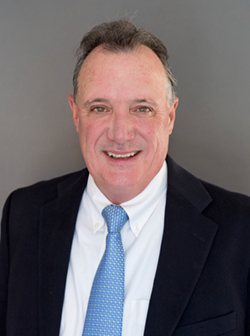 Michael Meehan has provided financial planning services for the past 33 years. His career focus is on wealth management strategies including retirement, estate planning, investments and insurance. Michael has been awarded the Five Star Wealth Manager* from 2012 to 2016 for overall satisfaction and was featured in Boston Magazine's "Best of Boston" edition. The Five Star award recognizes wealth managers who score highest in customer service, integrity, knowledge and expertise, communication, post-sale serves, quality of recommendations and overall satisfaction through market specific research in the U.S. and Canada. Michael is active in both the financial planning industry and his community. He resides in Winchester, MA. *The Five Star Wealth Manager Award is independently produced by Five Star Professional (FSP) and is based on data from financial advisors, regulatory disclosures, and FSP research. Neither the advisors nor their parent firm pay a fee to FSP for the nomination or award. Working with a Five Star Wealth Manager is no guarantee of investment success. For more information go to www.fivestarprofessional.com.